We are a small breeder based near the Cotswolds in the town of Carterton in Oxfordshire. 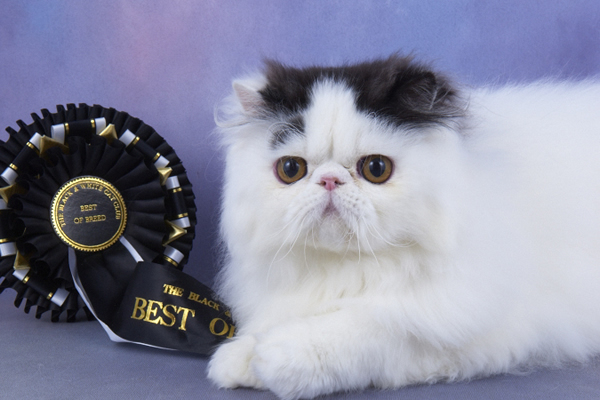 We are GCCF registered and a PKD Tested cattery. 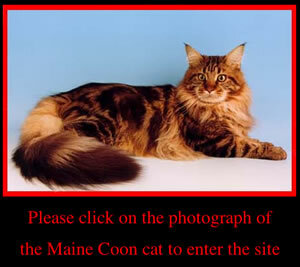 Click here or scroll down for pictures of our cattery. We specialise in selfs, bi- and tri-colours and vans. See the kittens page for details of Ladies in Waiting. 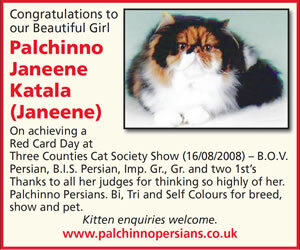 Our breeding is based on attaining the best type and temperament in Persians that we possibly can. All our kittens are accustomed to being handled and groomed. They are accustomed to the sights and sounds of a family home, which ensures they grow up into happy, confident and sociably affectionate cats. We reserve the right of refusal for any cat or kitten on this website. Deposits are non refundable if purchaser cancels.